Brought to you by Edward Bellamy, Francis Bellamy, and the Pledge of Allegiance, et cetera. 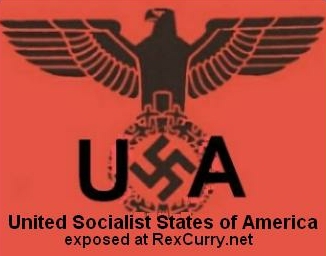 The USA has many types of socialism including the social security scam and its Nazi numbering, and socialist schools (government schools), and assembly-line searches with demands for 'papers' (identification etc.,) and other proof of a police-state. There are also ways in which the USA is less free, and is more socialistic than most other countries. The main example is the pledge of allegiance. All other countries shun it. No other country on earth expects children to slavishly chant a socialist's pledge in such a bizarre ritual, in military formation, and by law in socialist schools every day upon the ring of a government bell, like Pavlov's lapdogs of the state. Wilhelm von Humboldt: "If it were possible to make an accurate calculation of the evils which police regulations occasion, and of those which they prevent, the number of the former would, in all cases, exceed that of the latter." Support the "POLICE STATE PROTEST" and help fight authoritarianism in the USA in its many forms. The USA is setting records for imprisoning people. An estimate in early 2009 was 2.3 million people. Police-state tactics were witnessed worldwide via videotape from Goose Creek High School in South Carolina, where children were forced to the floor in handcuffs and terrorized by dogs and cops with guns drawn. Everyday and everywhere you go: You cannot buy lunch or a soda without government stealing from you (taxes). 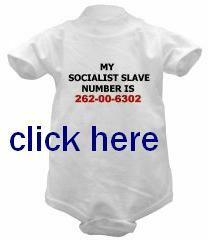 If you do not pay in cash then your socialist slave number (social security number) informs the government where you went and what you did. Your slave number tracks and taxes you for life, including your jobs, income, finances, residences, movements, purchases, activities, et cetera. You are not allowed to travel (even a mile by car) unless you carry identification. The car you ride in is required to display identification. A. The United States has more laws than any other place (and government is imposing more laws faster than any other place). This also supports arguments that the USA has the LEAST freedom. B. The United States has more people in prison (or on probation, or convicted of felonies) than any other place. This also supports arguments that the USA has the LEAST freedom and is the worst police state. See the book "Three Felonies a Day: How the Feds Target the Innocent " by Harvey A. Silverglate. On 06/12/06 the U.S. Senate was one vote away from passing a constitutional amendment that would criminalize desecration of the U.S. flag. If successful, it will mark the first time in 214 years that the Bill of Rights has been restricted by a constitutional amendment, and will place the United States among a select group of nations that have banned flag desecration, including Cuba, China, Iran, and Iraq under Saddam Hussein. The Pledge and the flag have inspired republican-socialists in Congress to sponsor federal laws to override private property rights and impose flag displays (as a special exception, while discriminating against all other displays) in condominiums. 3. Government schools (socialist schools) that ended the unique freedom of the USA and put it on the same socialist path as every other pathetic police state. 4. The social security numbers and the pledge train adult Americans to submit to the federal income tax, where they constantly have to justify to the government how they make money, how much, and to fork it over (including never-ending withholding) to fund the police state and its impoverishing debt. The annual income tax ritual shows that Americans are completely whipped and submissive. 7. The President has the legal authority to sexually torture American infants and children. Congress approves. Similarly, law Professor Marty Lederman explains: "this [subsection (ii) of the definition of 'unlawful enemy combatant'] means that if the Pentagon says you're an unlawful enemy combatant -- using whatever criteria they wish -- then as far as Congress, and U.S. law, is concerned, you are one, whether or not you have had any connection to 'hostilities' at all. Federal agents have the right to sexually torture an infant in order to make the parents "confess" to anything. 8. It is fortunate that the following man was not an infant. Maher Arar's nightmare started when he was arrested at New York's John F. Kennedy International Airport because he was on a terrorist watchlist. From there the U.S. government shipped him to Jordan and onto Syria, where he was tortured and held in dungeon-like conditions for nearly a year. Turns out the Canadian isn't a terrorist, just a software engineer. 9. More short examples are at the bottom of this page. Today, the flag is a symbol of the USA's growing police state. The federal flag code is so broad and vague that most Americans do not realize that they violate the law constantly. The flag code bans the use of the flag on pins, hats, caps, bandanas, towels, bikinis, underwear, signs, patches, shirts, stickers, book covers, cell phone skins, etc. Individuals violate the law if they do almost anything with a flag besides hoist it up a pole and salute it. Francis Bellamy (the author of the pledge of allegiance) and his cousin and cohort, the author Edward Bellamy, were self-proclaimed national socialists in the U.S. who wanted the government to take over everything. 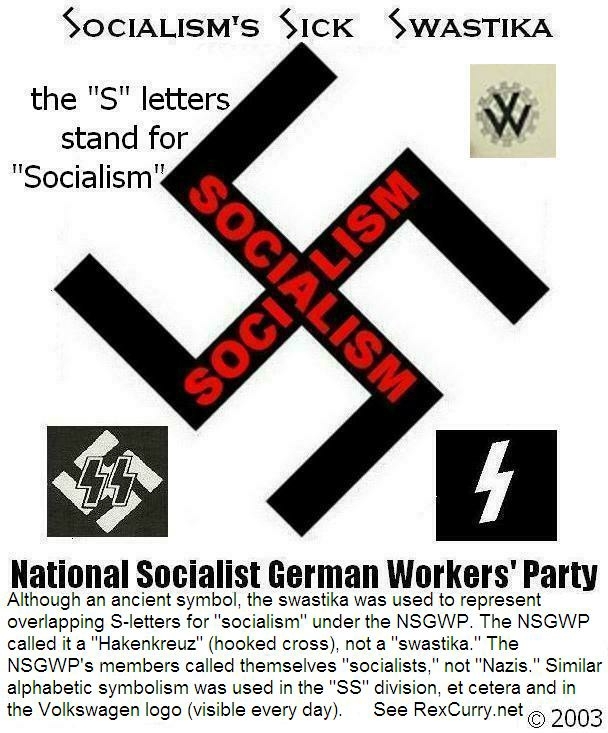 They promoted "military socialism" and the straight-armed salute, and they did it 3 decades before the National Socialist German Workers' Party (Nazis). No other country uses a pledge of allegiance to a flag the way the USA does, nor does any other country have laws specifying the recitation daily, in the hopes of promoting it among students in formation and in government schools on cue each day. Barbados has a national pledge that includes allegiance to "my country Barbados and to my flag," but it is not a routine part of the school day. In an interview with the New York Times, former Independent Prosecutor Kenneth Starr was asked about the bizarre practice in the USA. Starr represented the mother of the girl whose father wanted the Supreme Court to strike two words from the Pledge. When asked, "Do any other countries have a pledge of allegiance to their flags?" Starr answered, "Not to my knowledge." In the wake of the September 11, 2001 terrorist attack, many states and local school districts reinstated the daily pledge in socialist schools (government schools). As of 2004, at least 27 states had done so. No other country has a pledge of allegiance to a flag nor, worse still, a robotic chant of a socialist's pledge to brainwash children with a salute in military formation every single day upon the ring of a government bell, like Pavlov's lapdogs of the state. The "Roman salute" myth is used to cover-up the fact that government inside the U.S. promoted socialized schools, military socialism within government schools, the creation of industrial armies, and daily robotic pledges of allegiance in military formation with the infamous straight-arm salute (the Nazi salute). The pledge of allegiance was the origin of the salute of the National Socialist German Workers’ Party (Nazi Party) because Francis Bellamy was a self-proclaimed national socialist who promoted “military socialism” (a Bellamy term). To promote militarism, Bellamy started the pledge of allegiance with a military salute. The stiff-armed salute / gesture resulted from the military salute extended outward to point at the flag. It was NOT an ancient Roman salute (a debunked myth). Vacations are a fun time to leave the USA's police state and to avoid as many US laws as possible (but not really "breaking" the law because U.S. laws don't normally apply in foreign countries). It can be a fun time to leave your home state and to avoid as many home-state laws as possible in another state (whenever friends visit from New York City we fill the car with guns and take them out shooting). Another example: Cuban cigars can be bought in most foreign countries (the USA's police state prosecutes its citizens with felony charges for the peaceful non-violent vice of importing and smoking a Cuban cigar). Gambling is enjoyed (the USA's police state prosecutes its citizens with criminal charges for the peaceful non-violent vice of gambling in much of the USA and the only reason Florida has any land-based casino gambling is thank goodness for the Indians). Grand Cayman has a turtle farm where humans can handle sea turtles (the USA's police state prosecutes its citizens with felony charges for merely handling sea turtles. The USA's government nearly destroyed the Grand Cayman turtle farm). Grand Cayman serves turtle burgers and turtle fritters and turtle anyway it can be prepared (that's illegal in the U.S. and they will confiscate any jewelry or products that you purchase that are made from turtles). Mexico lets you walk on top of Mayan ruins (that is probably an arrestable offense in the USA's police state). At the Grand Canyon, the Hualapai Indians, on their reservation, will let tourists do things that might result in arrest or hassling by federal bureaucrats. Adolf Hitler began as a police spy / undercover cop in what would become the National Socialist German Workers Party. Joseph Stalin also held police positions. - As recently as about 100 years ago, I could have walked into any apothecary and purchased any medicine I thought I needed in any quantity I chose to buy ... without anyone's permission. started grabbing it from your paycheck in advance. - Aside from the Civil War, conscription and/or registration for conscription was not a feature of American governance until World War I. By mid-century it was near-universal, it continued (targeted mostly to the underclass) through Vietnam, and (with one brief break) mandatory registration to facilitate its resumption remains in effect. until 1887. While some states had marriage licensing requirements, the federal government did not establish the Uniform Marriage and Marriage License Act (presumably under the "constitutional republican framework" Holtz asserts) until 1923.
and all races (although on the latter, there have been various retrenchments, such as the Anti-Chinese Acts and the internment of the Nisei). Almost monotonic advancement? Not. 1. For that matter, I could have formed an organization, armed its members, and marched it up and down the square in uniform without creating any great flap, let alone risking imprisonment. Really -- I used to have an old (1898, I think) drill manual for "Home Rifle Clubs" that I picked up at a flea market. Try doing that now. I dare you. The tyranny without end, the spying, secret camps, wire taps, arrests without warrant, kidnapping, renditions, indefinite detention, despising the Geneva Conventions, despising the U.S. Constitution and assumption of dictatorial prerogatives. The disregard of human life, the abuse and torture, the deliberate degradation, the secrecy, the atmosphere of fear. How did we get to the point where the "federal" (i.e., central) government defines for us the drinking age for alcohol, how much wheat farmers can grow, the ability of terminally ill cancer patients to medicate themselves with marijuana, the amount of sugar that can be used in ketchup, and even the size of toilets? Judge Napolitano’s book: "Between 1937 and 1995, not a single federal law was declared unconstitutional by the Supreme Court. Not one piece of legislation was seen as exceeding the scope of Congress’s commerce power." (Emphasis added). So much for the phony argument that "judicial review" by the federal courts acts to protect liberty. Instead, it does the opposite: It expands the size and scope of government at the expense of liberty. This sad story is told over the course of several of the latter chapters of The Constitution in Exile. Judge Napolitano’s book: in a chapter entitled "After 9/11" the judge writes that "The PATRIOT Act and its progeny are the most abominable, unconstitutional governmental assaults on personal freedom since the Alien and Sedition Acts of 1798" and "the most unpatriotic of the things that the Bush administration and this [Republican controlled] Congress could have visited upon us." Judge Napolitano’s book: "federal agents and local police can write their own search warrants, serve them on American financial institutions without the intervention of a judge, and obtain information about you without you even knowing it!" The PATRIOT Act "has allowed the government to circumvent completely the Fourth Amendment" and "makes it a crime – punishable by five years in jail – for the recipient of a self-written search warrant to tell anyone that he or she has received the search warrant." These rats know that they are rats. Judge Napolitano’s book: "The government can now . . . break into your house . . . steal your checkbook, put an electronic bug under your kitchen table, and make it look like it was a house burglary. It can even leave and not tell you or the local police what has happened." Judge Napolitano recommends abolition of the income tax ("the Sixteenth Amendment . . . should be abolished outright"); same for the Seventeenth Amendment which called for the direct election of U.S. senators and a return to the system of appointing them by state legislatures; and the recognition that the federal government will never check its own power. "Thus, I would clarify the right of the states to secede from the Union," writes the judge from New Jersey, "losing all the benefits that come from membership [in the union], but regaining all the freedom membership has taken away. COPS AND ROBBERS (the cops are the robbers): Someone wrote: In 1980 I was leaving the country to play in a high stakes poker game. I had my entire bankroll hidden on me.($21,000.) Customs arrested me after questioning me and finding my money. I was charged with failure to file a notice that I was taking out over $10K. That charge was dropped and I was charged with lying about the money while being quetioned in publlic. I was convicted of a felony and fined $2K. The money was not returned. Why? I never got an answer. For years I told this story at the poker tables and someone always accused me of lying. Why? "That stuff can't happen in America!" United States of America v. $124,700 in U.S. Currency: the U.S. Court of Appeals for the Eighth Circuit took that amount of cash away from Emiliano Gomez Gonzolez while holding that Driving With Money is a Crime and that police may seize cash from motorists even in the absence of any evidence that a crime has been committed. A federal appeals court ruled that if a motorist is carrying large sums of money, it is automatically subject to confiscation. A fan writes: I went to Kennedy Space Center in Cape Canaveral with my son. It was really bizarre seeing uniformed Airmen with fully automatic machine guns strapped over their soldiers throughout the visitors center. The coming crackdown on blogging. March 3, 2005 By Declan McCullagh. Bradley Smith says that the days of political blogging and online punditry are over. In just a few months, he warns, bloggers and news organizations could risk the wrath of the federal government if they improperly link to a campaign's Web site. Even forwarding a political candidate's press release to a mailing list, depending on the details, could be punished by fines. Smith should know. He's one of the six commissioners at the Federal Election Commission, which is beginning the perilous process of extending a controversial 2002 campaign finance law to the Internet. In 2002, the FEC exempted the Internet by a 4-2 vote, but U.S. District Judge Colleen Kollar-Kotelly last fall overturned that decision. "The commission's exclusion of Internet communications from the coordinated communications regulation severely undermines" the campaign finance law's purposes, Kollar-Kotelly wrote. Smith and the other two Republican commissioners wanted to appeal the Internet-related sections. But because they couldn't get the three Democrats to go along with them, what Smith describes as a "bizarre" regulatory process now is under way. The news reported that at least 20 federal agencies have made and distributed pre-packaged, ready-to-serve television news segments to promote the president's policies and initiatives. Congress' Government Accountability Office determined that these "video news releases" were illegal "covert propaganda" and told federal agencies to stop. But last Friday, the White House ordered all agencies to disregard Congress' directive. The President's administration is using hundreds of millions of your tax dollars to manipulate public opinion. Comments from US soldier Camilo Mejia who refused to return to his unit in Iraq after taking leave in October 2003: "People would ask me about my war experiences and answering them took me back to all the horrors - the firefights, the ambushes, the time I saw a young Iraqi dragged by his shoulders through a pool of his own blood or an innocent man was decapitated by our machine gun fire. The time I saw a soldier broken down inside because he killed a child, or an old man on his knees, crying with his arms raised to the sky, perhaps asking God why we had taken the lifeless body of his son. I thought of the suffering of a people whose country was in ruins and who were further humiliated by the raids, patrols and curfews of an occupying army. Federal law requires all online contributors to confirm that the following statements are true and accurate. If you cannot confirm each statement, you are not eligible to contribute to the Ron Paul 2008 Presidential Campaign Committee. 2. I am a United States citizen or a lawfully-admitted permanent resident. If a foreign national, I have permanent resident status and hold a green card. 3. I am making this contribution (and paying this credit charge) with my own personal funds, and I am not using funds provided by any other person or from any corporation, labor union or national bank to make this contribution. 5. This contribution is not made from the funds of a political action committee. This contribution is not made from the funds of an individual registered as a federal lobbyist or a foreign agent, or an entity that is a federally registered lobbying firm or foreign agent. 6. I am at least 18 years of age. If a minor (over the age of 16), I am voluntarily making this contribution, which consists of my own funds; my contribution is not controlled by another individual and is not made from a gift given to me to make this contribution. A box is provided for you to click to confirm all of the above. Sen. Sherrod Brown snarls at the notion that protectionist policies reduce freedom (Letters, March 18, 2009). Let's see. If I want to buy a pair of pants from China, armed agents from U.S. Customs stop me from doing so unless and until I fork over to them a fee that Mr. Brown and his colleagues on Capitol Hill determine I should pay for the privilege of engaging in this voluntary transaction. If I resist and try to buy my pants without paying the fee demanded by Uncle Sam's armed goons, I will be imprisoned. If I resist too adamantly, I will be shot dead. For Mr. Brown to deny that protectionism infringes people's freedom is disgraceful Orwellian newspeak. I was talking with some friends over the Christmas holiday break and they were commenting on how lucky we are that we live in a free country where we have the liberty and the opportunity to live our lives the way we want and are not controlled by the government like in other countries. I woke up in the morning in my FHA (Federal Housing Administration) approved home that was built in accordance with USDOE (Department of Energy), FERC (Federal Energy Regulatory Commission), and numerous CFRs (Code of Federal Regulations). I took my morning vitamins which had to be approved by the FDA. I then got into my EPA and DOT (Dept. of Transportation) standards approved and FTC (Federal Trade Commission) regulated car and was forced by the NHTSA (National Highway Traffic Safety Administration) to buckle my seatbelt and put my daughter into an approved child seat. I then drove on DOT regulated roads and was forced to drive a certain speed while listening to more FCC approved programming on my radio. I stopped for gas but there wasn’t any due to state legislated gas quality restrictions which caused a decrease in the supply of gas and also gasoline price controls that kept the price so artificially low that there was an excess demand such that it sold out as soon as it arrived. I arrived at my DOL (Dept. of Labor) regulated and EEOC (Equal Employment Opportunity Commission) sanctioned place of employment, running on fumes, and was forced to work the first 2 hours of my 8 hour shift for the federal and state governments by giving almost 30% of my wages to the IRS and SSA (Social Security Administration) with no compensation. I then went to pick up my daughter from school where she’s learning a DOE (Dept. of Education) approved curriculum. I took her to an HMO (Health Maintenance Organization) approved doctor to get her HHS (Health and Human Services) mandated vaccinations that I learned she needed while watching a Disney family movie which was interrupted by an HHS PSA. After returning to work I checked my SEC (Securities and Exchange Commission) and IRS regulated investments in my now Federal Treasury owned banks to see if I’ll be able to retire someday since the SSA trust fund that I’ve been paying into for 25 years has been raided by the federal government and is now bankrupt. Onboard I noticed federal sky marshals with weapons so I decided to have a cocktail composed of liquor that is controlled by the ATF (Alcohol Tobacco and Firearms), as are the sky marshal’s guns. Don Cooper is an economist living and working in Atlanta, Georgia. "However, the vast majority of educators in Turkey have recently been speaking out more than ever, saying that no matter what changes are made, nothing much can be done in terms of democratization, unless the education system is privatized and problematic anti-democratic practices are removed from the system. For example, the military-style commands and mass recital of the Turkish pledge of allegiance (Andımız) in Turkish primary schools are seen by some as inappropriate. Before students begin the day, they gather in the school yard and recite the Turkish pledge of allegiance altogether after receiving a military drill-style command from their teachers; the whole scenario is more reminiscent of a military barracks than a school. Students in Turkish high schools have often complained about the compulsory national security course, a subject that is part of the official curriculum and is often taught by military officers, saying they don’t see the use of this class, which aims to teach values such as patriotism. In an interview with Today’s Zaman, Bugün daily columnist Gülay Göktürk said she believes that the education system should be privatized, the Unification of Education (Tevhid-i Tedrisat) code must be removed from the Constitution and the official curriculum should not be compulsory in all schools. Göktürk said having different curriculums in schools would allow for real competition in education, and parents would have multiple options to choose from."